A Gentoo Penguin with two young chicks on the nest at The Neck on Saunders Island, Falkland Islands. Gentoo Penguin coming ashore at The Neck on Saunders Island, Falkland Islands. A Skua grabbing a piece of fish from a Gentoo Penguin colony at The Neck on Saunders Island, Falkland Islands. A Gentoo Penguin feeding its chick at The Neck on Saunders Island, Falkland Islands. A Gentoo Penguin calling over eggs on a nest at The Neck on Saunders Island, Falkland Islands. A Striated Caracara stealing a Gentoo Penguin chick from the nest at The Neck on Saunders Island, Falkland Islands. A Gentoo Penguin coming ashore at The Neck on Saunders Island, Falkland Islands. Sunset over The Neck Gentoo Penguin colony on Saunders Island, Falkland Islands. King Penguin at The Neck on Saunders Island, Falkland Islands. 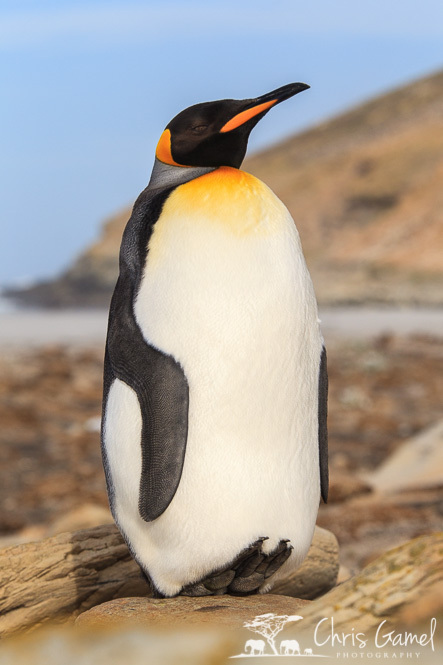 A King Penguin ashore at The Neck on Saunders Island, Falkland Islands. Two male King Penguins fighting in front of a female at The Neck on Saunders Island, Falkland Islands. A juvenile King Penguin lying on the beach at The Neck on Saunders Island, Falkland Islands. Rockhopper Penguin breeding colony at sunset at The Rookery on Saunders Island, Falkland Islands. Rockhopper Penguin colony at The Rookery on Saunders Island, Falkland Islands. Rockhopper Penguin standing on a rock at The Neck on Saunders Island, Falkland Islands. Rockhopper Penguin playing in a water shower at The Rookery on Saunders Island, Falkland Islands. Rockhopper Penguins curiously approaching at The Rookery on Saunders Island, Falkland Islands. A pair of Rockhopper Penguins at The Rookery on Saunders Island, Falkland Islands. A Rockhopper Penguin curiously approaching at The Rookery on Saunders Island, Falkland Islands. An Imperial Shag flying over the colony at The Neck on Saunders Island, Falkland Islands. Striated Caracara flying at The Neck on Saunders Island, Falkland Islands. A Black-Brow Albatross at The Neck on Saunders Island, Falkland Islands. A Black-Brow Albatross perched on a rock at The Rookery on Saunders Island, Falkland Islands. Black-Brow Albatross flying above the colony at The Rookery on Saunders Island, Falkland Islands. 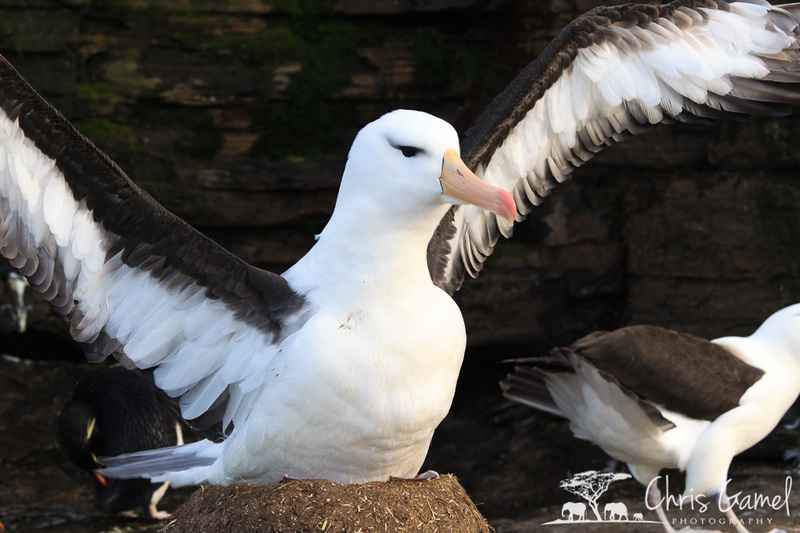 Black-Brow Albatross spreading its wings while sitting on the nest at The Rookery on Saunders Island, Falkland Islands. Black-Brow Albatross flying overhead at The Rookery on Saunders Island, Falkland Islands. Black-Brow Albatross performing courtship display at The Rookery on Saunders Island, Falkland Islands. Black-Brow Albatross perched on a rock at The Rookery on Saunders Island, Falkland Islands. An Oystercatcher on the beach at The Neck on Saunders Island, Falkland Islands. 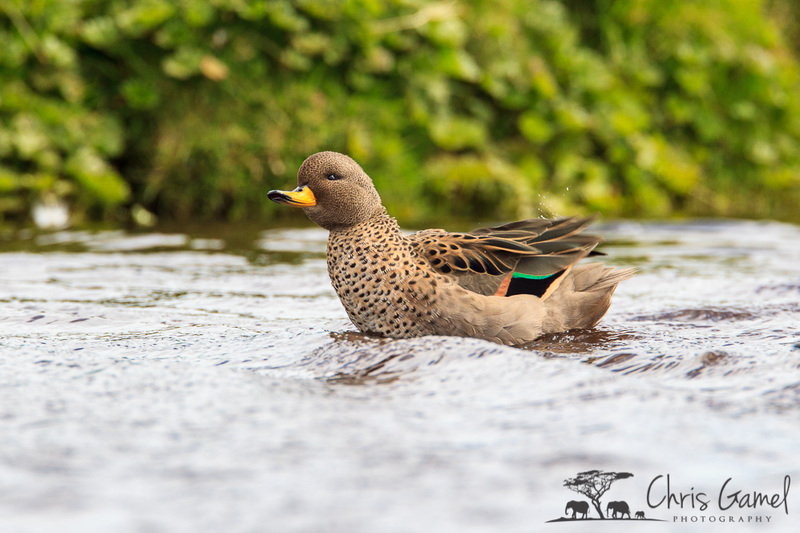 Yellow-Billed Teal swimming on Saunders Island, Falkland Islands. Upland Goose with chick at The Neck on Saunders Island, Falkland Islands. Ruddy-Headed Goose flying at Saunders Island, Falkland Islands. Female Upland Goose walking on the plain on Saunders Island, Falkland Islands. Dolphin Gull taking off on Saunders Island, Falkland Islands. Southern Sea Lion onshore at Saunders Island, Falkland Islands. Two juvenile Elephant Seals play fighting during annual molt on Saunders Island, Falkland Islands. Juvenile Elephant Seal watching from the water on Saunders Island, Falkland Islands. Juvenile Elephant Seal onshore at Saunders Island, Falkland Islands. Four Commerson's Dolphins swimming in the surf waves at The Neck on Saunders Island, Falkland Islands.